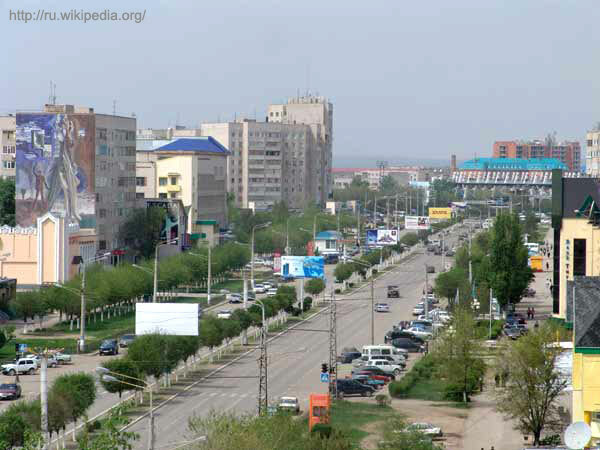 Aktobe is an industrial city, and one could be forgiven for not getting particularly excited about it, being situated to the south of the southern end of the Ural Mountains, in the farthest eastern corner of Europe. Not all geographers agree just exactly where Europe's eastern limits are, but a popular argument is that they cut through Kazakhstan from Aktobe to the Emba River and then thus westwards into the Caspian Sea before passing though Azerbaijan, Armenia and Georgia en route to the Black Sea. 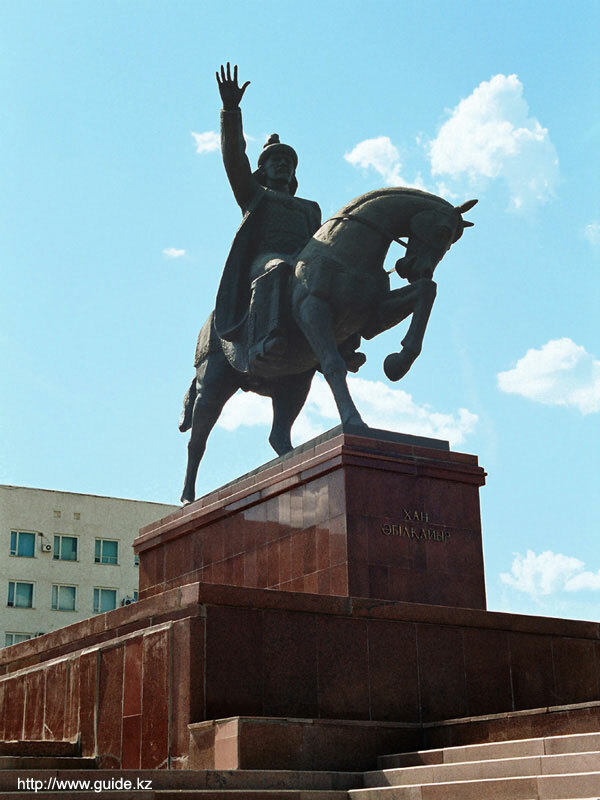 If Aktobe residents were asked about the local highlights, every single one would mention ‘Nurdaulet’. What is it? It is an interesting combination of seemingly incompatible things: a trade center neighbors a mosque here, supplemented by a bowling alley and fast-food cafes. I must say that many local Muslims were not very satisfied with the idea of this combination. However, it is apparent that some extremely clever person had the vision to draw a parallel between the present time and the Middle Ages, reviving an ancient tradition of bazaars in ancient cities being built next to mosques. People liked this idea, and controversy concerning this proximity of the material and the spiritual worlds has disappeared. 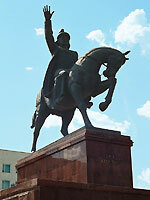 On the square in front of the Provincial Akimat (government) rises a monument to Abulkhair Khan, prancing on a horse. Coldest from November to March at an average temperature of -33oC (-28 F). The weather in Aktobe is sub-continental. Usually it is very windy here, nearly every day. Warm season is from June to September at an average temperature of +30oC (86 F). Precipitation is greatest in October and November. 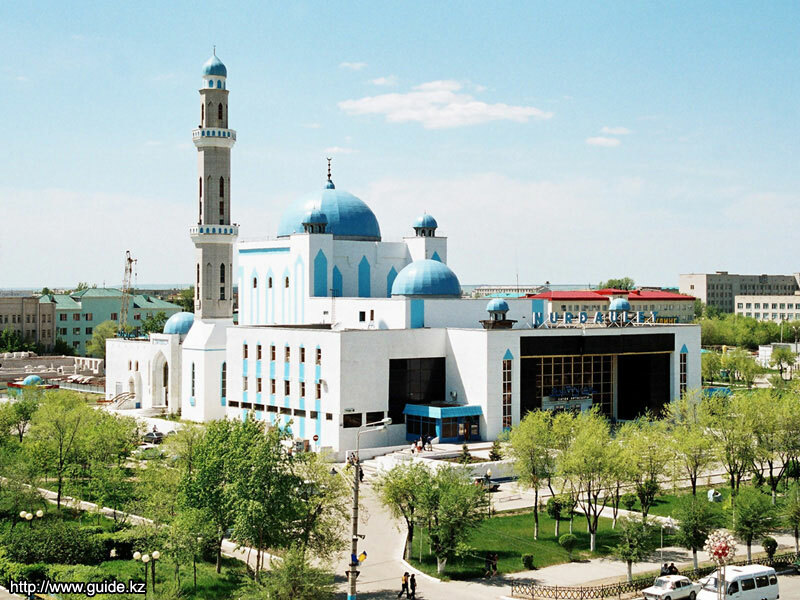 Flights to Aktobe can be found under the old name of Aktyubinsk, Kazakhstan. 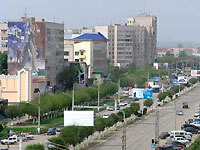 Aktobe airport is located 10km from downtown. Airport Tax: KZT 763 for First class, Business Class and Economy. Transfer to City and Charges: Taxis - KZT 1000-1200 (approximate). Foreign citizens require a passport with valid visa. You will find useful visa information in the "Kazakhstan visa requirements" section of OrexCA, as well as links to information on Kazakhstan Diplomatic Missions abroad and Foreign Missions in Kazakhstan. As an aid to visitors, we have provided useful visa information under a section called “Travel Information/Kazakhstan Visa Requirements”. For more detailed information on visa requirements, please refer to local immigration authorities directly or through your travel agent. 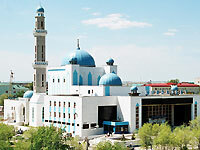 In Aktobe are two orthodox churches and many Islamic mosques. Visit Aktobe museum, Museum of Aliya Moldagulova, and Aktobe theatre; or, if you want to take care of yourself, visit the biggest fitness club, "Koktas Fitness". There are two reservoirs: Aktobe reservoir and Kargaly reservoir, with beaches and small cafes. Aktobe provides plenty of choices for entertainment such as nightclubs, restaurants, cafes, billiard clubs, bowling alley and cinemas.